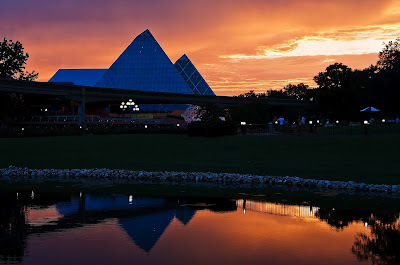 Sunset in Epcot. Where's your favorite place to watch the sunset at Disney? Also, don't forget to enter our trivia contest! We'll announce a winner tomorrow!